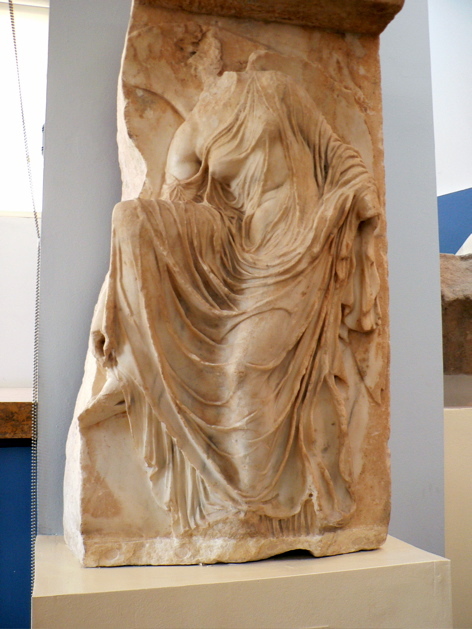 Acropolis, Athens, Greece: Museum pieces found while escavating. These were earlier statues (probably from about 1300 BC). This is Athena Nike stopping to adjust her sandal.